Don't be intimidated if you've never cooked goat before--it's surprisingly easy, and is delicious in everything from a tender pappardelle dish to a hearty chili. Here, 5 of our best recipes for goat. This brothy version of a classic Jamaican stew is lighter than most. Marinating goat for one or two days with spices, aromatics and yogurt makes it exceptionally tender. You can refrigerate this hearty sauce for up to three days, so this pasta dish is a perfect make-ahead meal. 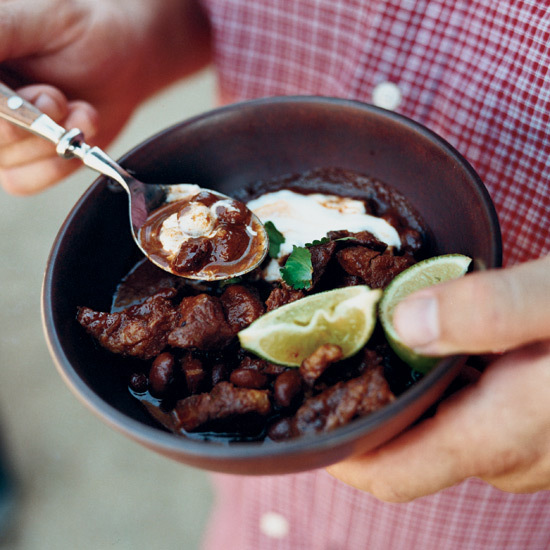 Spiced with arbol and guajillo chiles, this mellow, satisfying chili contains both braised goat shoulder and Rancho Gordo's Ojo de Cabra (Eye of the Goat) beans. The recipe is also wonderful with pork shoulder in place of the goat and ordinary kidney beans instead of the heirloom kind. 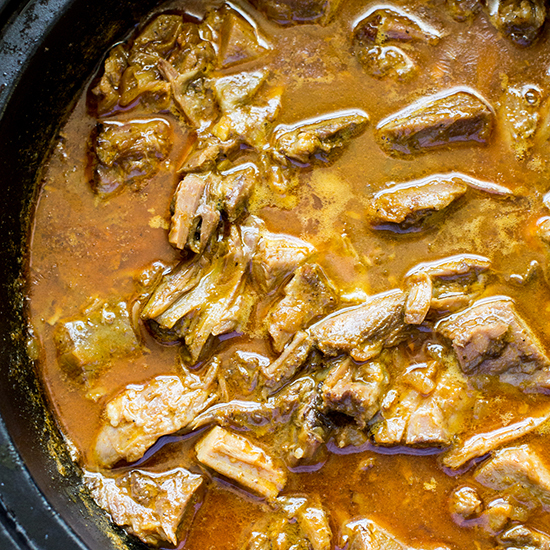 This traditional Moroccan curry is an ideal way to prepare goat; the sweet caramelized makfoul pairs perfectly with the tender, slow-roasted shoulder. This is a signature dish at Komi, where Johnny Monis slowly roasts the baby goat in milk until it's meltingly tender, then simmers it in tomato sauce before spooning it over fresh, eggy pappardelle noodles. 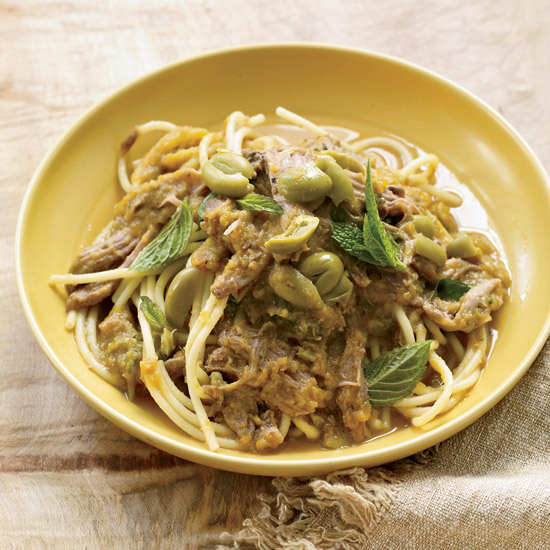 The key to the dish is giving all of the elements enough time to come together: "We never serve our ragu the same day we make it," Monis says. 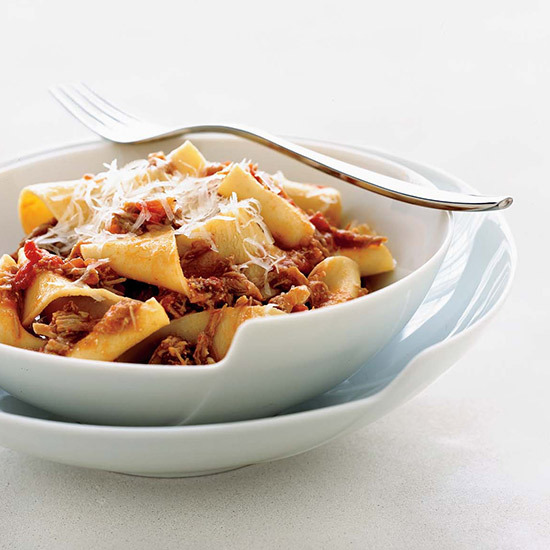 "When the ragu is allowed to cool overnight, the flavor and texture completely change."